Maybe you have had a few drinks, possibly more than you should have had if you were going to drive home. But that is okay because you brought another form of transportation. Maybe you brought a moped, electric scooter, or a bicycle. Stop and let’s talk about this. First, think about why you chose not to drive a vehicle in the first place. You knew you were likely going to be intoxicated. However, is it the best choice to get on a motorized vehicle, albeit a smaller one, if you are over the legal limit? We always think it is in your best interest to have a designated driver or to use a ridesharing service if you are going on for drinks. If you do find yourself getting pulled over while using alternative motorized means, what can happen? The short answer is that you can be charged with driving under the influence. A.R.S. 28-1381 (A)(1) says that it is unlawful for a person to drive or be in actual physical control of a vehicle in this state while under the influence of intoxicating liquor, any drug, a vapor releasing substance containing a toxic substance, or a combination of liquor, drugs or vapor releasing substances if the person is impaired to the slightest degree. 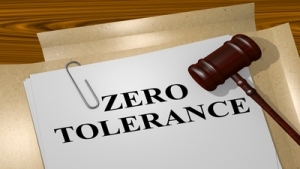 Now, the law allows for a blood alcohol content of up to .08% within two hours of driving or being in actual physical control of the vehicle. You will notice that the law does not define what a vehicle is, leaving it open to interpretation. Generally, it is understood that you can get a DUI if operating anything with a motor that is self-propelled. That is going to cover a range of things: mopeds, electric bicycles, scooters, and more. If we circle back to the law, you can get a DUI for driving or being in actual physical control of the vehicle. Most people know by now that they can get a DUI in a regular vehicle even if they are not actually driving but are sitting in the driver’s seat with the vehicle running. Police will look at the “totality of the circumstances” when determining whether a person has actual physical control of a vehicle, but we can assume that this is applied to other means of transportation as well. If you are outside of a bar or have stopped at a gas station and are on your moped or motorized bike, you may run into some problems. There is no denying that mopeds, scooters, and other transportation methods are popular with people who have had their license suspended for various reasons, possibly even a DUI. However, you need to be aware that many other motorized vehicles also require you to have a valid license. Any electric scooter that can go up to 25 mph and has 1.5 braking horsepower will be required to follow the state moped laws. They must be registered and the rider must have a valid license to operate. If you are riding a scooter after a DUI suspension, you can be ticketed for driving under suspension. Electric scooters with less than 750W of power and a top speed lower than 20 mph are categorized as electric-assisted bicycles and are not governed by laws and can be ridden anywhere a bicycle can be ridden with no special license needs. However, you can still get a DUI on an electric-assisted bicycle. Remember, if you are going out for the night, it is easier and safer for everyone if you get someone else to take you home. The potential to cause harm is too great, regardless of what kind of vehicle you are on. 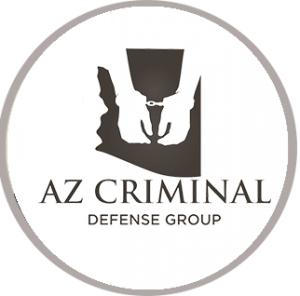 If you do get stopped and arrested for DUI, secure an Arizona DUI defense attorney as soon as possible so you can get through the process. Click here for information on what happens if you miss a court date for DUI.